Iran will start producing industrial bio-ethanol from cellulosic material soon. 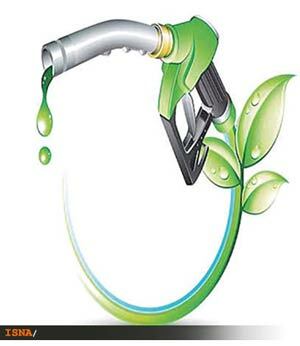 Bio-ethanol is the basic fuel used as a petrol substitute for road transport vehicles. Bio-ethanol fuel has already been produced through the sugar fermentation process, although it can also be manufactured by the chemical process of reacting ethylene with steam. Bio-ethanol can be used as petrol supplementary and it will increase the octane number of petrol as it is added to the fuel. It will lead to the decrease of greenhouse fuel production. Bio-ethanol will be manufactured from cellulose material including wood, paper, wheat wastes and sugarcane inside the country. The U.S., Denmark and Brazil are the only countries possessing the bio-ethanol made of cellulose materials in the world. Ethanol is the most widely used liquid biofuel. It is an alcohol and is fermented from sugars, starches or from cellulosic biomass. Cellulosic materials can be used to produce bio-ethanol. Bio-ethanol represents an important and renewable liquid fuel for motor vehicles. Production of bio-ethanol from biomass is one way to reduce both the consumption of crude oil and environmental pollution.